FolioLink cloud storage opens up a number of new possibilities for your workflow. With cloud hosting you can upload files up to 200MB to your Supporting Files area and there is virtually no limit to the number of files that you can add. File delivery is fast; our cloud hosting uses the Amazon delivery network, a highly scalable near-line network that powers large services like Netflix. To deliver files to your clients you will first need to upload them. 2) Click the cloud upload button. 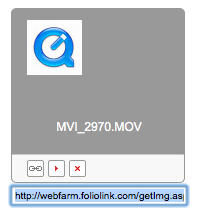 2a) During the upload of large files you will see a progress bar. Please do not interrupt the upload process. 3) Your files are now listed as shown below. 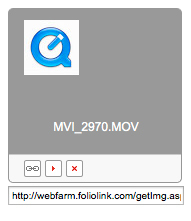 4) To deliver a file click on the chain link icon. 9) Highlight and then copy the link. (Quick tip: on a PC click Control c and on a Mac click Command c to copy). 10) You can then deliver this link via email. To deliver several files to a client you will likely find it more convenient to upload Zip files which can be secured and can contain multiple embedded files. 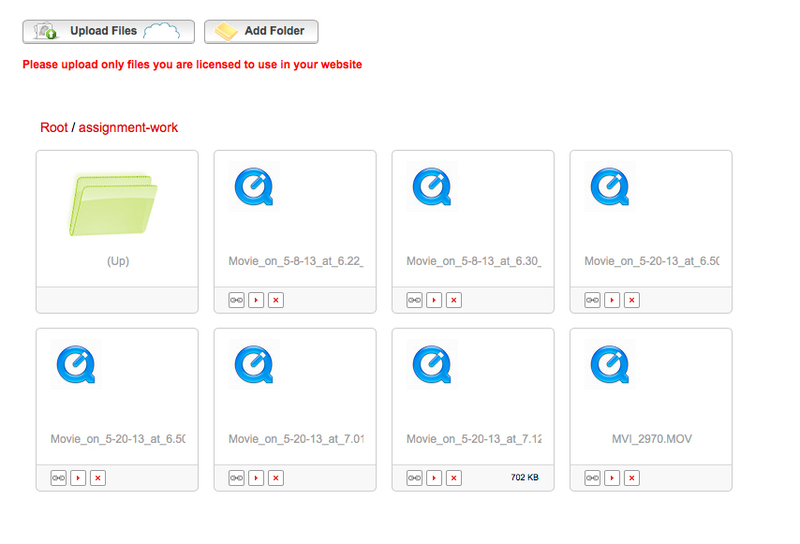 This way you can upload a number of 200 MB Zips to share and deliver many images to your client. (Quick tip: a shortcut for pasting a copied link is Control v for the PC and Command v for the Mac).